When the first half of a book is episodic, with little story arc except ‘they go away, they travel, they come back’, one might think there’s no point in producing a second half. I’ve read very few picaresque novels, but can’t imagine that, say, The Expedition of Humphry Clinker would benefit from a second part as long as the existing novel, in which the same expedition is undertaken again. That Don Quixote pulls off this trick superbly well is probably the reason it is still read today, so it’s not exactly a surprise to find that it does so, it’s just surprising that it’s possible at all. The more so, as the first part is substantially padded out, the humour of Don Quixote and Sancho Panza taking a back seat after the first (hilarious) 200 pages in order for some complicated romances to take the stage. These, as I mentioned previously, the reader would do well to treat as an ad break, or a romantic interlude in a Marx Brothers film: it’s a chance to get your breath back. ‘Surely you weren’t expecting this pace to continue?’ the book seems to say. ‘Don’t worry, there’ll be more nonsense before we’re through’. The second part of Don Quixote is the same as the first in that it features the same two characters having the same ludicrous conversations and pursuing the same vague goals (looking for chivalrous adventure, attaining the love of Dulcinea). They leave their village only weeks after returning to it at the end of part one, and pick up where they left off. Cervantes seems to have felt keenly criticisms similar to the one I made above, and doesn’t interpose any unrelated stories this time: it’s all about Don Quixote and Sancho (hurrah!) Occasionally, to really spoil us, it’s just about Sancho. On balance, it’s a funnier book, though it never quite reaches the hilarity of the opening stretch of part one (reading Sancho’s description of Dulcinea I laughed so much it hurt). It’s a better book too, and not just for the jokes. The most striking thing about part two is the extent to which it is a reaction to part one. The first part was meta fiction because it is a book about other books; the second is more recursive still, being also a book about the public reception of the first part of itself, and about (and against) another book called The Second Part of the Exploits of Don Quixote of La Mancha, written by one Avellaneda in the ten year interim between Cervantes’ two volumes. Practically all the adventures in part two happen as a result of Don Quixote and Sancho meeting people who have read part one and who want to see how mad they really are. Adventures are constructed for their benefit, and they never suspect, Quixote taking them as proof that his delusions are true. Sancho gets to govern his long-promised ínsula, or island, and he glosses over the fact that it is patently inland, being one of the villages on the estate of a duke who goes to quite extraordinary lengths to get the pair to behave like lunatics. There is a lot of glossing-over in Don Quixote, Cervantes taking advantage of the fragile state of reality to explain away what are almost certainly plot holes in part one: the theft of Sancho’s donkey, for instance, which the reader only discovers when it is mentioned that he is on foot, or the existence of Dulcinea of Toboso, which seems to hang on conflicting testimonies from Sancho. Of course she doesn’t exist as Don Quixote imagines her, and it’s always doubtful whether she knows him and whether she – a young maid – would ever take a husband of Quixote’s age and physical (and mental) disadvantages, but the ease with which Sancho convinces him that a peasant girl he picks at random is Dulcinea enchanted more or less proves that she is only imagined. The second part benefits greatly from the familiarity of the characters. Though they are fundamentally unchanged from part one, the fact that we know them and are fond of them gives Cervantes the confidence to let them run riot over the whole of the book’s length, and also to fit them to adventures which he might previously have left to his romantic leads. 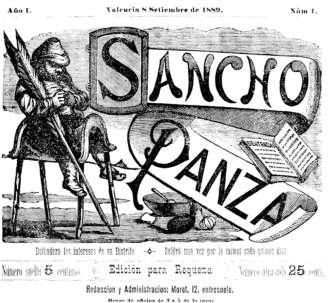 Don Quixote’s hallucinations in the Cave of Montesinos are one example; Sancho’s governorship another. Both characters are now strong enough to cope with something more than episodic buffoonery. Even Sancho’s alteration during the governorship, into a wise governor, is just about within the bounds of what we are prepared to accept. Cervantes strings together a series of Solomon-like decisions which he is called upon to make, in order to sort out disputes between his subjects. The notes show that none of these is original, but to have Sancho giving this wise advice is strangely affecting: the duke is trying to make a fool of him, but he does rise to the challenge, he is wise when the occasion calls for it. Perhaps because he is such a chancer himself, he understands the mentality of the chancers brought before him. Just a short entry, ’cause I didn’t much care for this, but I did finish it, and also I took some photos of a viaduct at the weekend and it’d be a shame not to use one here. If you’ll excuse the pun, there’s just no body to this book. Characters all speak in the same way (generally starting off, ‘I say’), and it’s too self aware. Knox’s rules for writing detective fiction intrude at every step, even breaking explicitly into the narrative on occasion. Mostly this happens near the beginning of the book, then on one occasion near the end, as though he’s consulted another set of rules and remembered he’d forgotten about them, but couldn’t be bothered to go back and amend anything in between. It reads as though it was written in one draft, all its ingenuity being reserved for the plot. And I’m afraid I’m not one to give two stuffs about the plot ingenuity of a murder mystery. I like a Sunday evening in with a cocoa and a Poirot as much as the next tired person, but I never follow the bloody things.